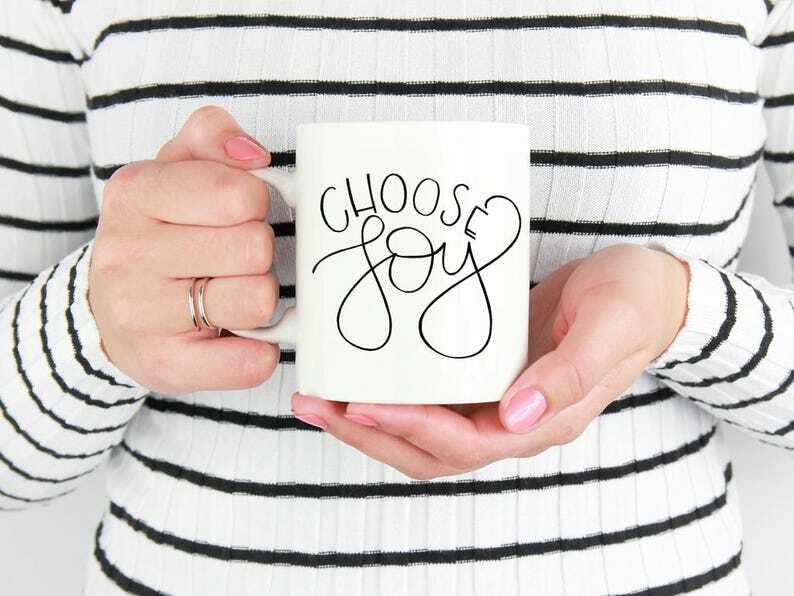 In all things we must continue to 'choose joy' and now you can have this friendly reminder with each enjoyable moment with your favorite hot beverage. Skip your other mass-produced mugs and warm up with this hand lettered choose joy ceramic mug! + Due to the custom nature of this listing, please allow time for approx 7-8 days for printing and shipping. In December of 2017 our town of Ventura was devastated by the Thomas Fires. In efforts to give back, a portion of the proceeds from the purchase of a Joy Collection item is donated to the Humane Society of Ventura County. The HSVC aims to protect, care, and provide safe refuge for all animals in the Ventura County area. This organization was amongst the first to step in and help provide a safe haven for ranch horses and other animals affected by the fires. Love this mug! So subtle and perfect for a gift! Super cute bag! I love it! Great gift for a friend with wedding coming up. Fast shipping! 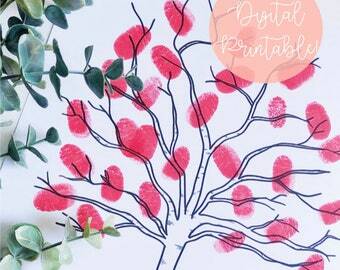 I LOVE working on custom and personalized orders and am very excited to offer this in the shop! You can find more details about what is included and the steps to take by requesting a custom order on the shop's homepage. For all other customized orders, please allow additional creative processing time depending on the products and quantity of the order. Each print(s) are packaged in sealed plastic protective sleeves and shipped in rigid mailers to ensure safe handling. All other home goods and decor items are packaged using bubble wrap to ensure a safe delivery. All apparel items are packaged in a protective sealed bag. The Little Foxes newsletter is a monthly e-mail that will be sent to members notifying them of upcoming products and promotions, be the first to know about pre-orders, privy to exclusive sales, and even given a welcoming coupon just for joining! Don't worry, I promise it isn't spam. It's just a great way for us all to connect beyond the shop! Due to the handmade nature of my listings all sales are final. I do accept cancellations of an order within 2 business days, though. In the event that you receive a damaged or broken product, please contact me ASAP so that we may rectify the issue. All custom orders are final sale as well. I work diligently to keep all of my customers a part of the creative process and aim to provide the highest quality products possible. I appreciate your understanding and am always available to discuss this policy further.